Low skip hire prices, high quality service! 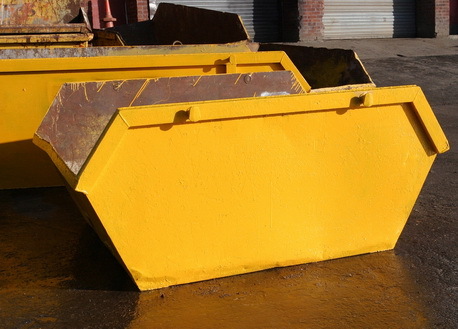 Easy Go Skips have many years experience for getting all types of waste and junk disposed of using the most cost effective methods, enabling us to offer cheap skip hire prices. We understand that each of our clients may have different skip hire requirements and thus calculate our prices accordingly. We keep our skip hire prices low by meeting your exact needs so that you are not charged for more than what you require. Please see below our affordable and competitive our skip hire prices! Perfect for the removal of smaller items or a small amount of bulky items. Suitable for larger and bulkier waste. Ideal for single room refurbishments. The builders skip, ideal for the majority of waste items including larger and heavier items. The standard choice for property refurbishments. Not intending for heavy items used for a larger amount of lighter waste. The perfect container for larger Refurbishments, shop fittings and larger projects. A popular choice for construction companies.